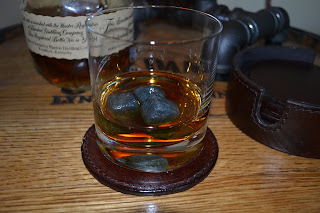 Stored in the freezer and used in drinks, our whiskey stones will keep drinks cold without diluting your liquor. Ice dulls the natural flavors of any liquor and mutes their aromatic qualities. Not everyone likes their whiskey room temperature. Made from soapstone, this set includes 9 stones in a canvas bag. Just pop in the freezer for a few hours and they will keep your drink chilled without watering it down. Soapstone rocks can also be used to keep your drinks warm, just by putting into the microwave for a few seconds. Shopping for gift ideas can't be easier, visit Rustic Sinks for our new fall line of products and ready to ship gifts.